Traditional LED linear lighting systems typically employ magnetic transformers as the power source to enable AC phase dimming, since standard switched-mode, constant-voltage electronic drivers cannot provide AC phase dimming. Designed for incandescent, legacy lighting, magnetic transformers consist of a simple 50/60 Hz step down transformers with bridge rectifier and large output filter capacitors, resulting in poor efficiency, power factor, and load regulation. GRE Alpha developed the industry’s first true, high efficiency, high power factor, switched-mode, constant-voltage electronic LED drivers, with dimming performance that exceeds that of traditional magnetic transformers. 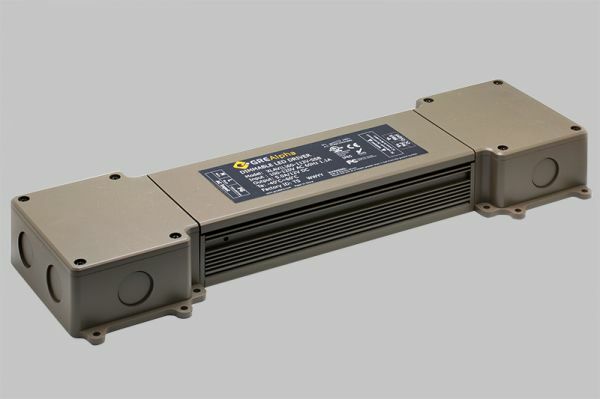 Incorporating GRE Alpha’s 0-100% dimming technology, our UL Listed Class II rated Linear Lighting Pro series offer all the advantages of using switch mode power supplies, including vastly improved dimming performance, over traditional magnetic transformers. This chart highlights the unique features that our Linear Lighting Pro Series LED drivers offer over magnetic transformer solutions.